Office work used to be a 9-5 occupation, a place we went to complete an activity. Thanks to huge advances in technology, all that has changed and work has become an activity, something we can do in any setting – at home, in an office, on the move or in a third space like a hotel or co-working environment such as WeWork. That has led to the blurring of lines between work and life and the move from work-life balance to work-life integration. And that blurring of lines is also something that’s affecting the hotel sector. A decade ago this was through the introduction of business centres in hotels and now through the hybrid hotel concept. 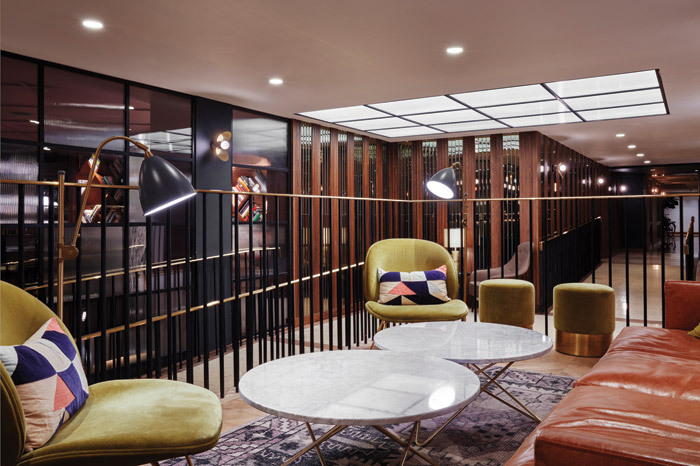 Today’s hybrid mixes co-living with co-working and sees students, hotel guests and long-stay business people mixing together in livework- socialise environments. The co-working community has already embraced this mixed-use trend. WeWork recently opened a WeLive in New York City, providing small, furnished apartments with communal areas including a WeWork space, exercise studio, kitchen for shared meals and communal roof terrace. WeLive’s next stop is Seattle. Until now, hotels hadn’t been great at creating the environment to allow people to live, work and socialise. Some business centres are a little tired, and lobbies often don’t provide the right ergonomic environment for long-term work. But through hybrid hotels, all that is changing. A key leader in this trend is Amsterdam’s Zoku hotel, which embodies a social community through implementing communal benches in the dining areas, co-working spaces, and the Living Room, a home-from-home space featuring comfy sofas, fireplaces, endless shelves of books and the much-loved comforts of home. Michaelis Boyd was commissioned to overhaul the public spaces in the Marylebone Hotel in London. The corporate meeting rooms were redesigned as multifunctional spaces for a range of events from cocktail evening and fashion shows to yoga classes and breakfast seminars. 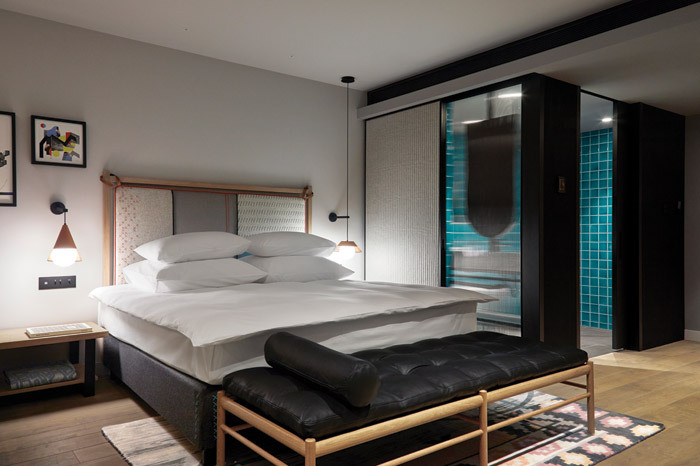 Reducing the size of hotel guest rooms might seem counter-intuitive, but for Simon Kincaid, director at Conran and Partners, it worked to encourage guests to use the public spaces and amenities at Puro’s new flagship hotel in Kraków. ‘Our design seeks to merge the usual barriers that exist between guests and the local context in order to facilitate greater interaction and a more well-rounded travelling experience.’ The hotel has a bakery at ground level, independent restaurant within the hotel and an urban spa in the basement to welcome locals into the hotel. ‘The result is a more dynamic environment where a wider, diverse pool of individuals and groups can meet, offering the opportunity for potential business connections while actively engaging with the local community,’ he says. 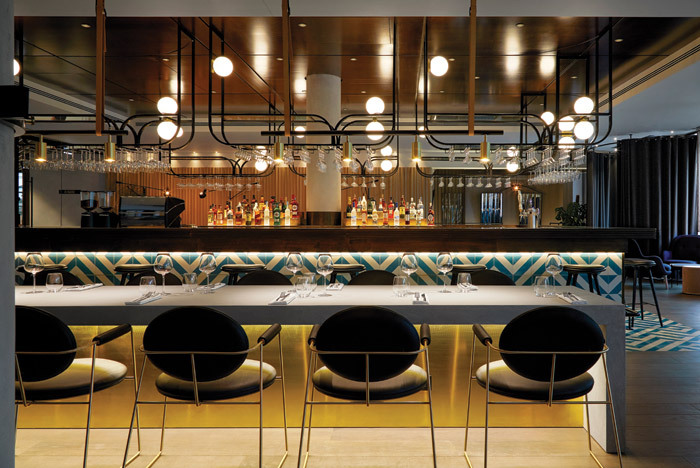 Kincaid’s brand and environment design work with Crowne Plaza similarly draws inspiration from the concept of co-working to provide a fluid and open environment. 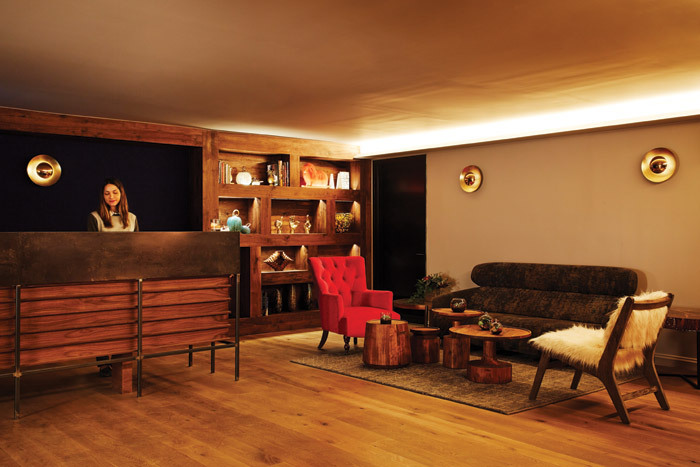 Harriet Forde, president-elect of the British Institute of Interior Design, agrees, describing hybrid hotels as spaces with appeal to students, millennials and also savvy 50+ travellers, maybe on a second career, or freelances not based in one place. She predicts that a wider network of live/work spaces will be on the horizon. 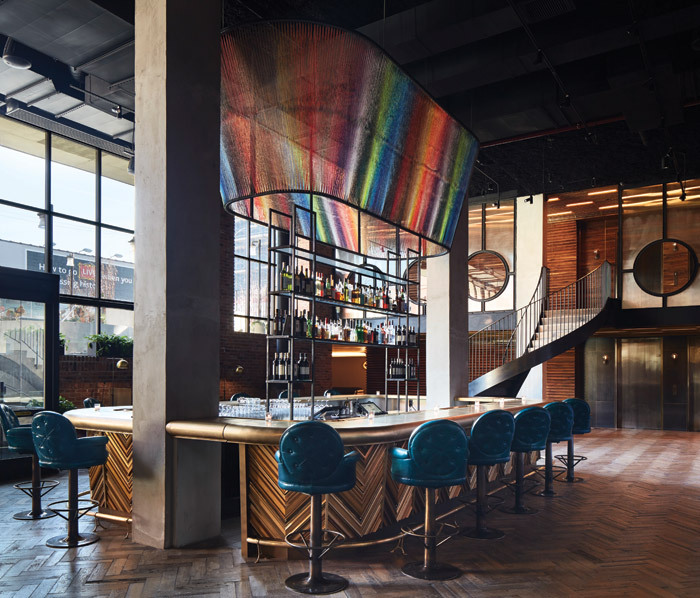 The Nest, a co-working space within the Hotel Tryp by Wyndham in Dubai, is a great example of a hybrid hotel that has it right, she says, striking the right balance with high-level hospitality and good perks including access to hotel facilities. But she has a warning for the hotel sector. If hotel owners and designers don’t embrace the concept, then others will. ‘The likes of WorkSpace and Second Home may add rooms to their current offerings,’ she concludes.